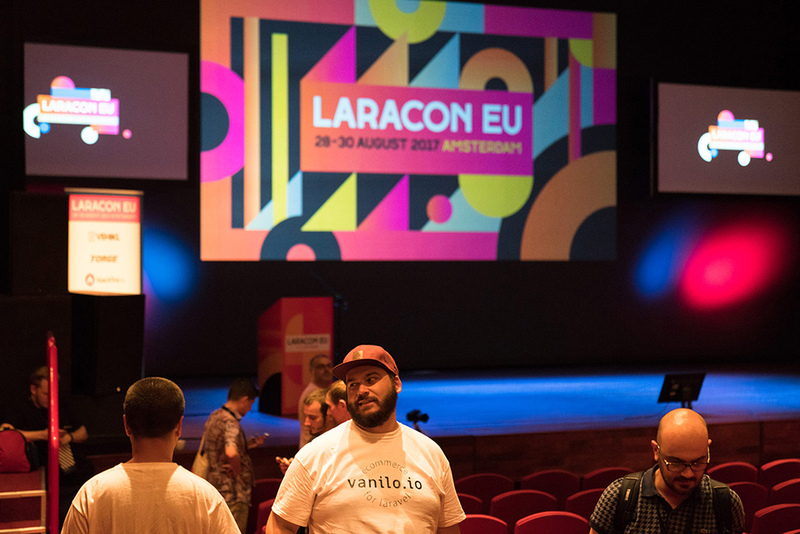 Laravel is one of the largest and fastest growing open-source PHP frameworks. 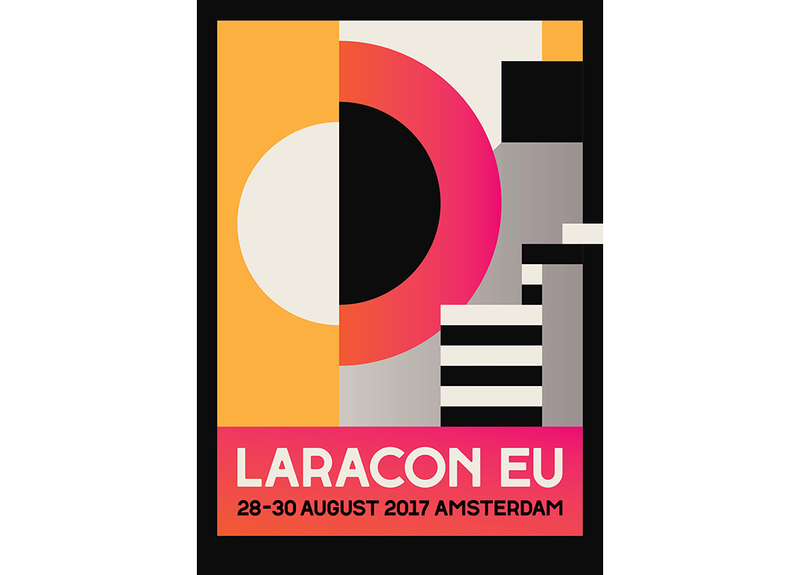 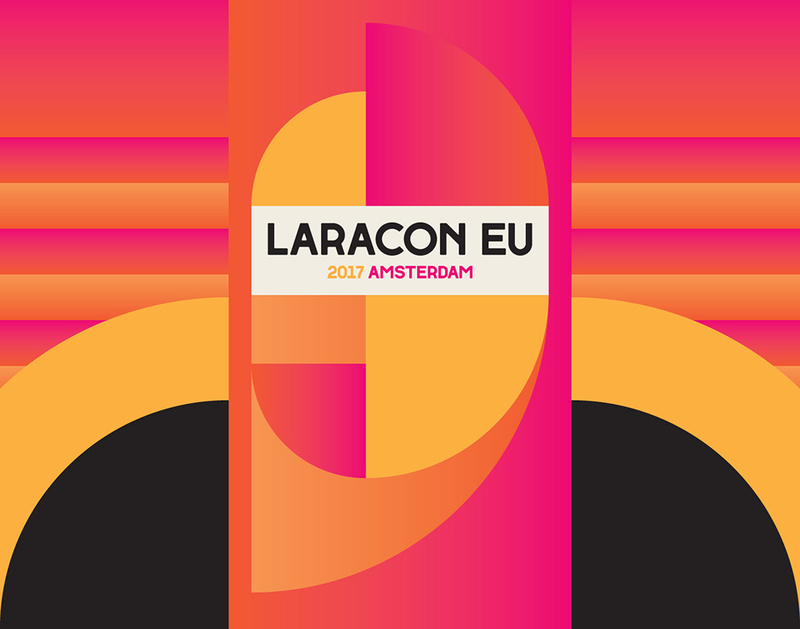 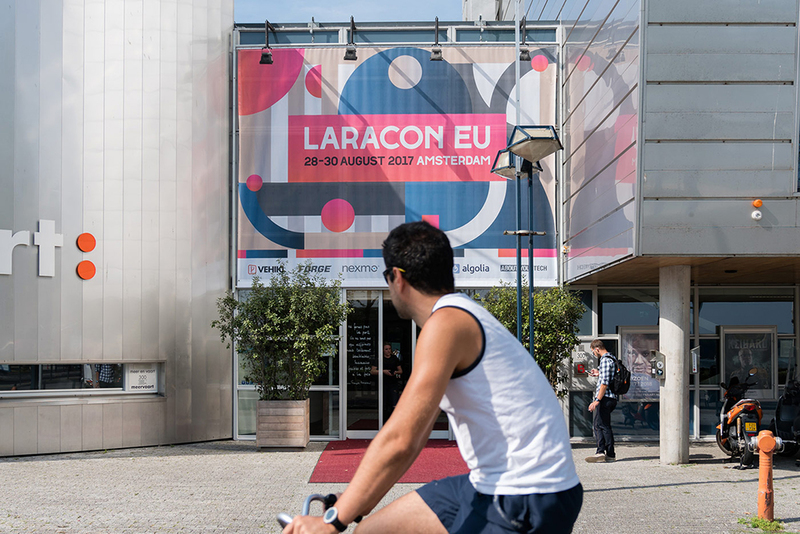 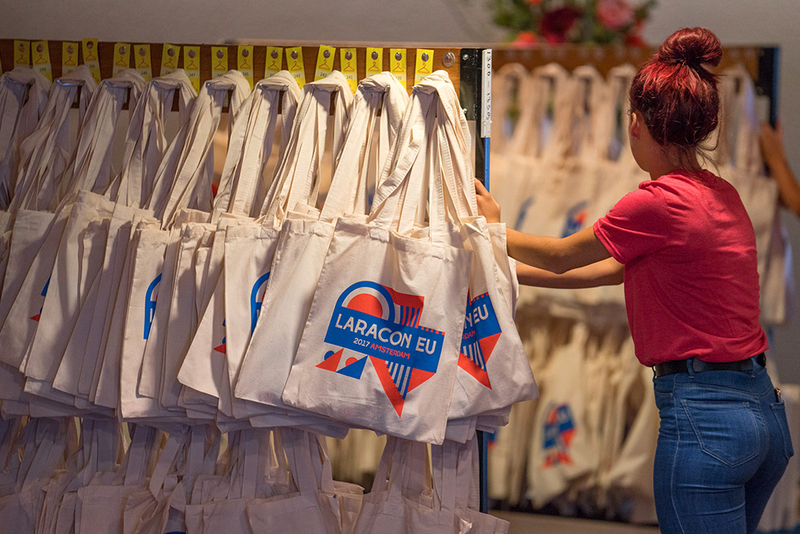 Laracon EU is one of the largest Laravel conferences with more than 750 visitors. 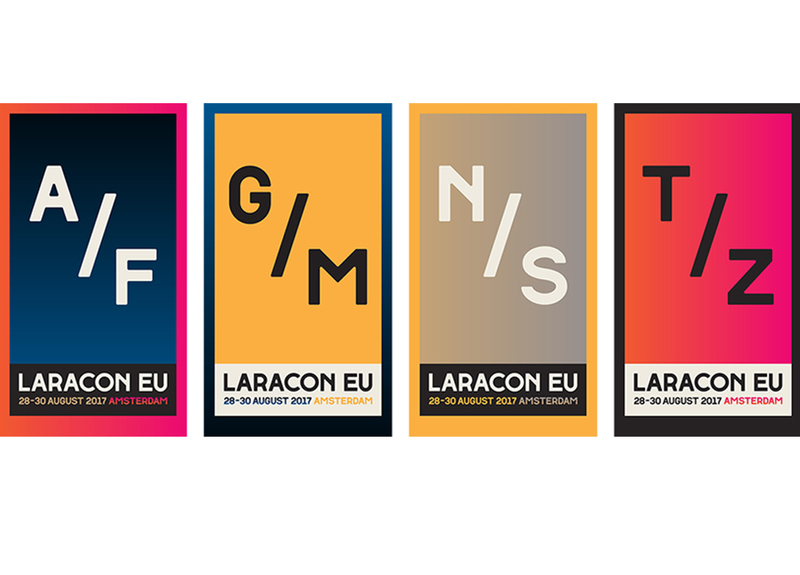 One of the characteristics of Laravel is that it is extremely flexible, bright and modular. 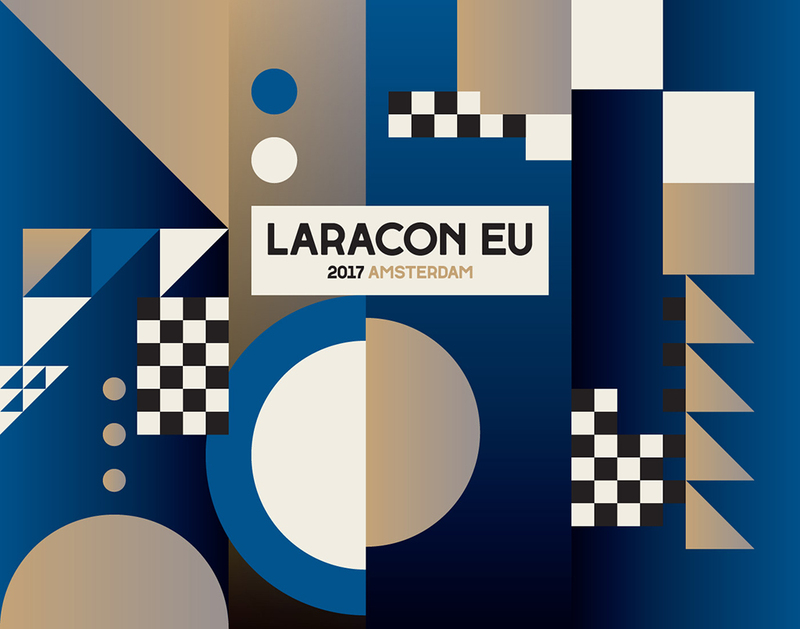 On the basis of these features, a flexible visual language was designed based on simple geometric shapes. 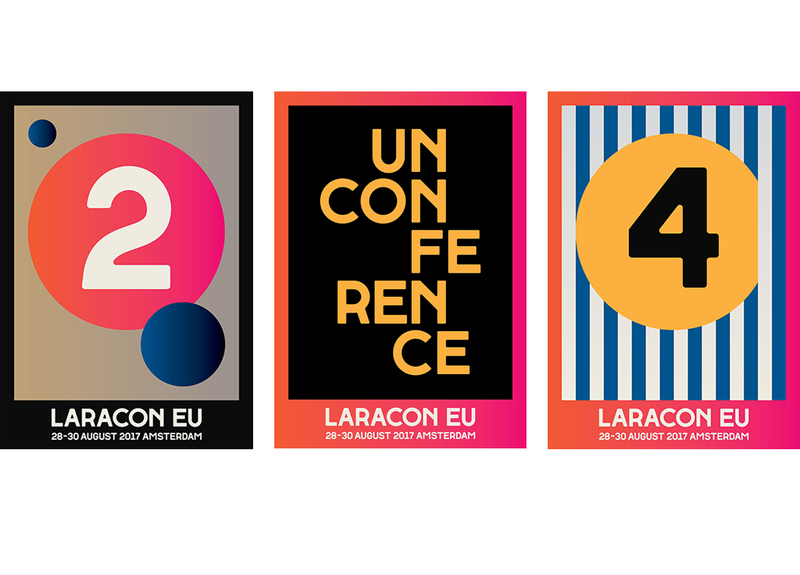 All expressions are unique in composition but built up with the same package of shapes and colors. 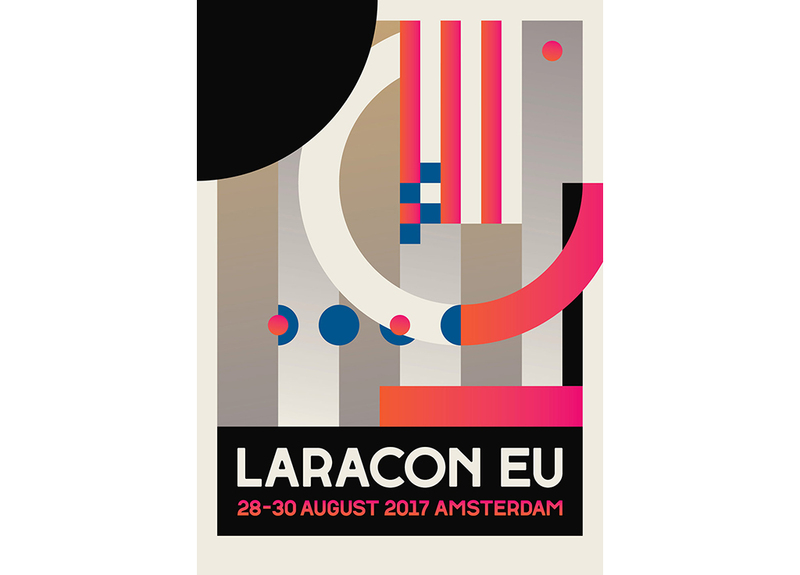 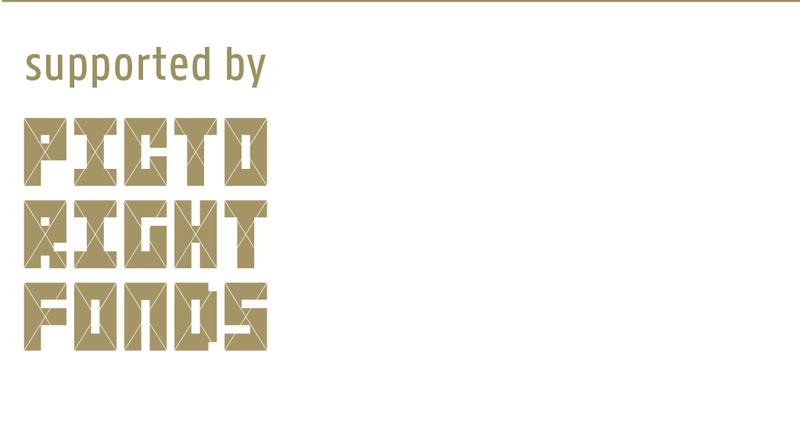 The font, which is also the logo, is designed especially for Laracon. 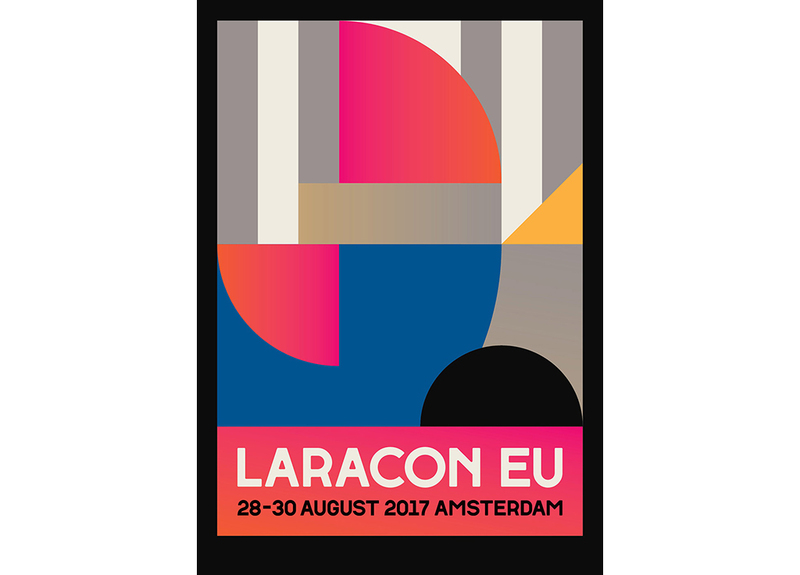 The visitors to the conference could design their own access badge by using a tool developed by Liefhebber himself. 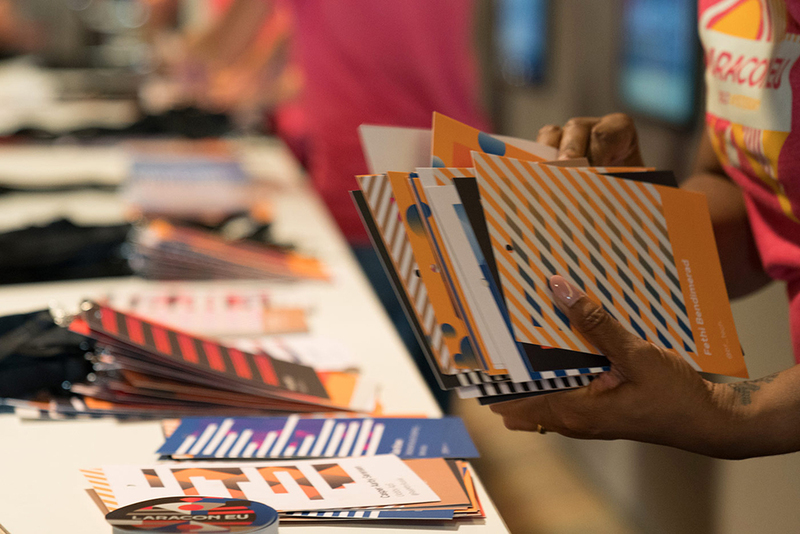 This tool consisted of three basic patterns and made it possible to manipulate color and form. 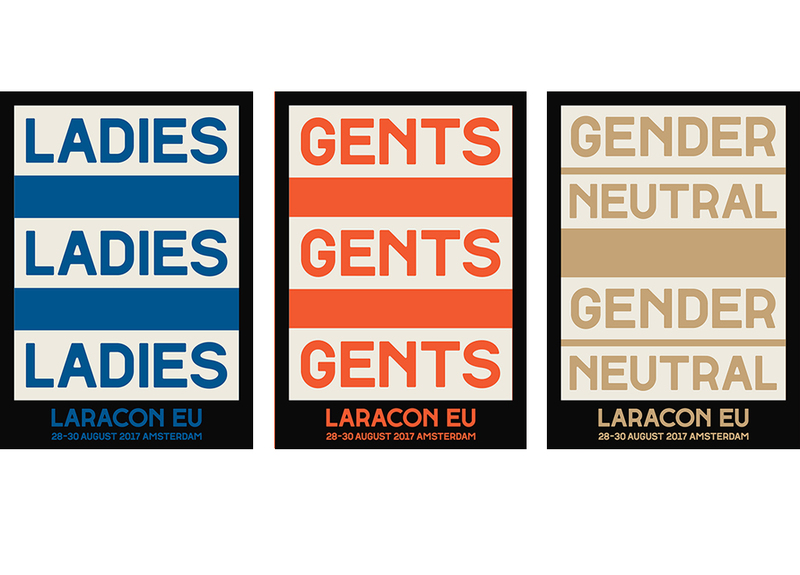 Observant visitors who looked into the code could in this way add their own elements to the design.